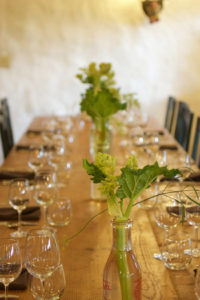 Celebrate the summer’s harvest at Quillisascut Farm with a special five course dinner highlighting all things farm to table! Featuring the cuisine of Chef Kären Jurgensen! Please let us know if you would prefer a vegetarian option or if you have any food allergies. Chef Kären Jurgensen teaches culinary arts at Seattle Central Community College. 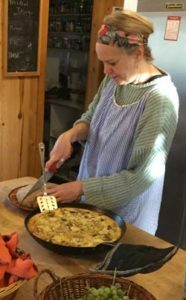 During the summer months she is on site at Quillisascut Farm teaching farm to table cooking, whole animal butchery, hearth breads, preserves, herbal infusions and wild harvested foods.